The U.S. Federal Trade Commission (FTC) wants a federal judge to allow the agency to take additional testimony from Volkswagen's U.S. unit over allegations the German automaker intentionally destroyed documents last year over its diesel emissions scandal. The FTC said in court documents filed late Thursday that it has been investigating since March whether Volkswagen Group of America destroyed documents related to its "Dieselgate" scandal. VW admitted in September 2015 to installing secret software in its diesel cars to cheat exhaust emissions tests and make them appear cleaner in testing than they really were. In reality, the vehicles emitted up to 40 times the legally allowable pollution levels. The FTC said a Volkswagen witness at an August deposition could not answer 250 separate questions and now wants court approval to question another VW official. VW has previously faced allegations it destroyed documents - both in a whistleblower lawsuit and state lawsuits. In March, a fired Volkswagen Group of America employee filed a whistleblower lawsuit, accusing VW of deleting documents and obstructing justice in the diesel emissions investigations. Daniel Donovan, who worked as an information technology employee in VW's general counsel office, claimed in his lawsuit that he was fired in December 2015 "because of his refusal to participate in a course of action" that would destroy evidence and obstruct justice. The lawsuit was settled in June, and Donovan agreed to cooperate with VW's internal investigation. Three U.S. states filed suit in July against Volkswagen, asserting at least eight employees in VW's engineering department deleted or removed incriminating data in August 2015 after a senior attorney advised them of an impending order not to destroy documents. The lawsuits said "some but not all of the data has been recovered." In total, Volkswagen has agreed to date to spend up to $16.5 billion in connection with the scandal, including payments to dealers, states, clean energy programs and attorneys for owners. A court filing this week said lawyers for VW dealers are seeking legal fees of up to $36.2 million. Lawyers for 2.0-liter owners confirmed in a court filing that VW has agreed to pay $175 million in legal fees. VW has agreed to spend up to $10.03 billion to buy back as many as 475,000 polluting 2.0-liter vehicles. As of last week, 78 percent of owners who have registered for the settlement are choosing the buyback option, VW said. Buybacks will begin later this month. Slave labor was also used Ford, GM/ Opel, Mitsubishi and Fuji Heavy Industries. Ferdinand Piech was livid when the NYT story came out, and let them know it. Anton Piech and Ferry Porsche became close friends of Hitler in the early 1930s. Both men were honorary members of the Waffen SS. Wolfsburg (post WW2 name) was created from scratch by Hitler for Piech and Porsche. Throughout the war, Hitler awarded them all the military contracts they wanted. Among other things, VW produced all the V1 flying bombs that rained down terror in London. Piech and Porsche were the first German manufacturer to request free slave labor from the Fuhrer, in the form of captured Eastern European male and female civilians. VW was the largest user of slave labor during the war. The babies that were born by the female slave laborers were all murdered by VW management. The Nazi-rich Piech and Porsche families again control VW today, owning over half of the voting shares. BMW apologized in March 2016 for having used slave labor. VW refuses to face up to the matter. I doubt any of the people that actually committed VW's war crimes are still alive to be punished, but current VW Group management is complicit by refusing to admit those crimes. Mercedes-Benz may stop selling diesels in the U.S.
With consumer demand dwindling, Mercedes-Benz is questioning whether to continue offering diesel vehicles in the U.S.
Mercedes is working to get certification on a limited number of diesel models it had planned to offer in the U.S., Matthias Luehrs, vice president of sales and product management for Mercedes-Benz Cars, said last week during an interview at the auto show here. More rigorous testing procedures by the EPA in the wake of Volkswagen's diesel emissions scandal have delayed diesel certifications for Mercedes and other automakers. But Mercedes' long-term outlook on diesels in the U.S. is shakier. The company is conducting market research on U.S. diesel demand to help guide its direction, Luehrs said. "We have to look at that and see whether it makes sense to offer diesels in the future," Luehrs said. "We have not come to a conclusion but we obviously always tend to develop cars and offer vehicles according to customers' demands." Dropping diesels entirely in the U.S. "is a theoretical option," he said. Mercedes expects the first batch of results from its market research early next year, Luehrs said. He noted that demand for diesels in North America has been low "and is still lowering" for cars and crossovers. With regard to the certification efforts under way on diesel models, Mercedes is "confident that in most of the cases" it will succeed in gaining approvals, Luehrs said. Mercedes says its priority is securing EPA certification for the V-6 diesel in the GLS350d, a diesel version of the brand's large crossover. The company had been seeking certification for at least four diesel models in the U.S: the GLS, plus the GLC and GLE crossovers and the C-class sedan. A Mercedes spokesman last month said the company no longer plans to offer the diesel C class next year in the U.S. That car had been slated to go on sale in the first quarter of 2016. Volkswagen will no longer offer diesel vehicles in the U.S., its global brand chief said on Tuesday, ending speculation the company might return to the technology after its emissions scandal fades from memory. The comments by Volkswagen brand CEO Herbert Diess, first reported by European business daily Handelsblatt and confirmed to Reuters by a VW spokesman, were the strongest yet to deny the possibility that diesel -- once a quarter of the brand's U.S. sales -- could be a part of Volkswagen's future U.S. lineup. Volkswagen reached a $14.7 billion settlement with 475,000 U.S. owners of diesel vehicles and federal and California regulators in October after admitting to installing secret software in its diesel cars to cheat emissions tests. In September, Diess told Reuters at the Paris Auto Show the company was not yet ready to abandon diesel technology, and could continue to offer diesel models for the U.S. market. Just last week at the Los Angeles Auto Show, the CEO of Volkswagen Group of America, Hinrich Woebcken, told reporters he did not believe diesel would ever "come back in the same magnitude as we've seen it up to now" in the U.S. market. "Emissions standards in following years are getting tougher and tougher," Woebcken said. "Why don't you put the money and investments ... to comply with these standards, why don't you put the money on the spot where the future is?" he asked, speaking of VW's new focus on electric vehicles. Luxury car brand Audi, a subsidiary of Volkswagen, still sees a diesel vehicle as possible, its Americas president said last week. "Once we hopefully get past everything, I see an opportunity for potentially, probably to offer it on one model, and that model would probably be the Q7 SUV," Audi of America President Scott Keogh told Reuters. Unless a competing small diesel vehicle becomes available, looks like I won't be taking the buyback. Dozens of Volkswagen officials in Germany have hired U.S. criminal defense lawyers as the Justice Department ramps up meetings with managers to gather evidence that may lead to charges against executives. U.S. authorities have traveled to Germany to arrange interviews with managers and seek cooperation in their probe of the automaker’s efforts to subvert anti-pollution rules. With some interviews yet to take place, it makes it less likely that prosecutors will be able to reach a resolution with the company by the close of the Obama administration as some officials had hoped. That activity, and the Justice Department’s efforts to interview executives on foreign soil, shows the U.S. is keeping pressure on the automaker after it admitted last year that it had rigged its diesel engines to lower their emissions during testing. The U.S. has already helped broker a civil settlement that will cost VW over $16 billion in fines and penalties. The Justice Department, characterizing the diesel cheating as a 10-year conspiracy to deceive environmental officials, has said it will pursue criminal charges against not only the company but also individuals. The two-pronged approach would make good on the department’s 2015 call for prosecutors to focus on the individuals behind corporate misdeeds, a policy drafted after criticism that it had entered into multibillion-dollar corporate settlements while failing to prosecute the people responsible. The case could also serve as a capstone to the environmental-enforcement cases pursued under the Obama administration, which includes the $25 billion in criminal fines and civil penalties paid by BP Plc for the Deepwater Horizon oil spill. The U.S. investigators have urged some of the VW employees to come to the U.S., where they can be interviewed away from German prosecutors, who are building their own cases against company officials. U.S. prosecutors hope VW employees would testify against those above them in the company. In September, U.S. prosecutors secured a guilty plea and cooperation from a former VW software engineer who reported to German executives. The U.S., should it choose to pursue charges against executives in Germany, could face challenges. The U.S. can charge individuals even if German authorities issue their own indictments. But getting executives to stand trial in the U.S. could be difficult. Germany’s constitution doesn’t allow citizens to be extradited outside the European Union. The Justice Department is exploring its options to get executives to the U.S. In one scenario, the U.S. could put pressure on the company as settlement discussions advance by filing charges against individual executives, issuing arrest warrants and sending enforcement requests through Interpol via the so-called red-notice system. At the least, that could restrict executives from travel outside Germany for fear of being detained and flown to the U.S. Investigators have already used this technique in investigations of global banks for rigging benchmark interest rates. The Federal Trade Commission is seeking to further question Volkswagen AG’s U.S. officials about whether evidence including mobile phones was destroyed amid the probe of diesel vehicles rigged to cheat emissions tests. The FTC asked the San Francisco judge overseeing most of the consumer and government claims against the carmaker to order further questioning of a company witness. While Volkswagen Group of America contends its “designated corporate witness” has already answered thousands of questions during a deposition, the FTC said the person provided “nonsensical or evasive responses” when questioned about whether the company intentionally destroyed evidence. The witness, Manuel Sanchez, “was either unprepared or otherwise unable to provide responsive information,’’ the FTC said. Sanchez “answered ‘I don’t know’ or some variation thereof over 250 times, including in response to questions he should have been able to answer,’’ the FTC said. This included questions about the 23 phones that had been lost or had been “wiped,” the FTC said. The FTC request comes amid criminal investigations of the company in the U.S. and Germany spurred by VW’s admission last year to systematically rigging cars to evade environmental laws. VW has repeatedly alleged its top management was unaware of the decision to install software, so called defeat devices, to cheat emissions tests. Chevrolet did a pretty poor job keeping the 2017 Cruze diesel a secret. Details surrounding the second edition of a diesel-powered Cruze have been trickling into the public sphere for a couple of months. First it was the news about the six-speed manual and nine-speed automatic transmissions; then came word that the diesel engine would be offered in both sedan and hatchback body styles. Now Chevrolet has started the make-it-official process by announcing a key element: the pricing. The sedan with a manual transmission starts at $24,670, and the sedan with a nine-speed automatic is $26,270. The base diesel comes standard with the LT trim and the Convenience package, typically an $850 add-on that includes an eight-way power driver’s seat, push-button ignition, keyless entry, and heated front seats. The Leather package is an option on both models for an extra $1125. A combination of that package and the Sun, Sound, and Confidence package is available for $3680 on sedans but only with the nine-speed. Prices for the hatchback have not been released yet. The price undercuts the previous-generation Cruze diesel, which started at $25,695 when it was introduced for 2014. For 2017, the diesel will start at $4056 more than the gasoline-powered automatic Cruze LT with the Convenience package and $3345 more than the six-speed manual Cruze LT with the Convenience package and the $695 RS package. Every 2017 Cruze diesel include Chevy’s 24/7 Promise: two years of SiriusXM satellite radio and OnStar plus two years or 24 GB of 4G LTE data. The next big pieces of news we’ll be waiting for on the 2017 Cruze diesel are the 1.6-liter turbo-diesel’s engine output figures and, even more critically, its fuel-economy numbers. By now you have heard that Volkswagen is quitting diesels in the U.S. market. Your plan to appeal to VW’s customers with diesel versions of the Cruze and Equinox is perfectly timed. I have heard from several of my friends who are selling their cars back to VW that they don’t have a clue what to buy next. Other friends say they may even keep their cars because they like them so much and because they can’t find similar vehicles. Subaru is often mentioned as a possible replacement, mostly because of all-wheel drive. But Chevy has a real chance to win a large percentage of VW’s loyal core of diesel drivers -- they accounted for roughly 25 percent of VW’s total U.S. sales before the emissions scandal -- with the diesel Cruze and Equinox. But, as a Cruze owner, I can tell you, you have a lot of work to do if you think VW customers are going to like the Cruze diesel enough to buy it. No gripes with the car’s styling; it’s great. And none with its outstanding features, such as the built-in Wi-Fi hotspot that’s standard in every model. But simply dumping a diesel engine in the Cruze won’t be nearly enough to convince VW diesel owners to switch to a Chevy diesel. You’ll get their attention with the available six-speed manual transmission -- kudos for offering that -- but you won’t close the deal unless you completely rework the car’s suspension and steering. To win VW buyers, you need to make the Cruze diesel drive like a European car. If you want VW owners to feel at home in the Cruze diesel, make it handle, brake and steer just like a VW Golf or Jetta. That means the soft suspension and Novocain-injected electric power steering need a complete overhaul. Stiffer springs offering a far more compliant ride and steering that allows the driver to feel the road are absolute musts. The brakes can never have too much bite. I have not driven the Opel or Vauxhall variants of the Cruze, but I would bet the steering and suspension calibrations and shocks, struts, springs and bushings to improve the Cruze’s handling are already on the shelf in Europe. And one more thing regarding the Cruze: The manual transmission shifter’s throws are far too long. Shifting gears in the car is like rowing a boat. Let’s get that shifter tighter and more precise. It could also use more of a mechanical feel as it slots into each gear. The same improvements are needed for the upcoming diesel-powered Equinox. Give it European handling characteristics. GM has already shown it can hang with the Germans with cars such as the Cadillac CTS-V and ATS-V. The mindset that created those cars should be the template for the diesel versions of the Cruze and Equinox. The first-generation Cruze diesel was a slow seller, partially because of the way it was marketed. I think you’ll have more success by making the diesel engine in the 2017 Cruze a freestanding option. Please don’t make customers who prefer a diesel engine buy leather seats, sunroofs and other items they may not want or need. Recently, I got a chance to hear the new “whisper diesel” engine in the 2017 Cruze run. That refined engine could be a little dynamo. The Cruze and Equinox diesels have the potential to bring new customers to Chevrolet. The fuel economy numbers alone should be eye-popping. But that won’t be enough to win VW buyers. I urge you to test drive a VW Golf diesel and compare its handling and steering characteristics to those of the current Cruze. VW may have blown it with its diesel engines -- and, just to be clear, by “it,” I mean the diesel emissions cheating scandal that cost billions of dollars, a more polluted planet and VW’s global reputation and integrity. But, well, it got the rest of the car right. The template for success is there. Please follow it. SACRAMENTO - The California Air Resources Board (CARB) and U.S. Environmental Protection Agency (U.S. EPA) today announced approval of an emissions modification for a limited number of the Volkswagen 2.0 liter diesel vehicles with a so-called defeat device. The vehicles eligible for this modification are referred to as “Generation 3” and appeared for a single year only, in model year 2015. In September 2015, Volkswagen representatives admitted to CARB and U.S. EPA the presence of a defeat device in 2.0 liter diesel passenger vehicles sold in model years 2009-2015. This device, in the form of a set of software commands, engaged the car’s emissions control system to deliver legal levels of nitrogen oxide (NOx) when the car was being tested for emissions in the laboratory. Once on the open road and out of the lab, however, the defeat device compromised operation of the emissions control system resulting in excess emissions of NOx at levels well beyond legal limits. Volkswagen sold approximately a half-million of the affected diesel vehicles in the U.S. including about 71,000 in California. This modification applies to more than 10,000 of those cars in California. "This is one more step on the road to cleaning up the mess created by Volkswagen’s deception, but it is by no means the last step,” said CARB Chair Mary D. Nichols. “There are more modifications to come for other model years, and further penalties to be decided." Because of the presence of the defeat device, these vehicles emitted up to 40 times the NOx allowed under their certification requirements. NOx emissions contribute to the formation of ozone, and can worsen symptoms of asthma and cardio-pulmonary disease. About 10 million Californians live in what U.S. EPA considers severe non-attainment areas for ozone. Volkswagen is paying more than $1.2 billion to the State of California to mitigate past excess NOx emissions of all 2.0 liter diesel cars, including any future emissions these cars may produce. A partial consent decree approved by a federal judge in October http://www.cand.uscourts.gov/filelibrary/1776/Partial-Consent-Decree.pdf contains about 60 pages of detailed standards, requirements and criteria (known as Appendix in order for a proposed modification of these vehicles to be accepted. There are several different generations of engine technology in these vehicles, depending on their age. The current accepted modification is for 2015 “Generation 3” models only and involves the installation of a second NOx sensor and a new or replacement diesel oxidation catalyst. This modification will reduce excess emissions from the affected vehicles by 80 to 90 percent. Owners of the affected 2.0 liter diesel cars have the option of getting their vehicle modified or taking an offer from Volkswagen to buy back the vehicle. Lessees may cancel their leases without additional cost or penalty. Volkswagen must notify owners of vehicles eligible for modification within 10 days of this announcement. The Federal Bureau of Investigation (FBI) has arrested a Volkswagen executive who faces charges of conspiracy to defraud the United States, marking an escalation of the criminal investigation into the automaker’s diesel emissions cheating scandal. Oliver Schmidt, who led Volkswagen’s regulatory compliance office in the United States from 2014 to March 2015, was arrested on Saturday by investigators in Florida and is expected to be arraigned on Monday in Detroit. Lawsuits filed against Volkswagen by the New York and Massachusetts state attorneys general accused Schmidt of playing an important role in Volkswagen’s efforts to conceal its emissions cheating from United States regulators. Starting in late 2014, Schmidt and other Volkswagen officials repeatedly cited false technical explanations for the high emissions levels from Volkswagen vehicles, the state attorneys general said. In 2015, Schmidt acknowledged the existence of a so-called defeat device that allowed Volkswagen cars to cheat emissions tests. Volkswagen eventually said that it had fitted 11 million diesel cars worldwide with illegal software that made the vehicles capable of defeating pollution tests. The software enabled the cars to sense when they were being tested for emissions and turn on pollution-control systems to curb emissions at the cost of engine performance. But those controls were not fully deployed on the road, where cars spewed nitrogen oxide at up to 40 times the levels allowed under the Clean Air Act. James Liang, a former Volkswagen engineer who worked for the company in California, pleaded guilty in September to charges that included conspiracy to defraud the federal government and violating the Clean Air Act. But Schmidt’s arrest brings the investigation into the executive ranks. The arrest came as Volkswagen and the Justice Department neared a deal to pay more than $2 billion to resolve the criminal investigation into the emissions cheating. The company or one of its corporate entities is expected to plead guilty as part of the deal. The settlement could come as early as next week. American prosecutors had traveled to Germany in recent months to interview Volkswagen executives, according to German prosecutors. The criminal case against Volkswagen, and the potential guilty plea, set it apart from other recent auto industry investigations. In settlements with General Motors and Toyota over their handling of safety defects, for example, the companies agreed to pay large fines, but did not plead guilty. Prosecutors are also mulling criminal charges against Takata, the Japanese manufacturer under criminal investigation for its defective airbags. Volkswagen has already agreed to pay up to nearly $16 billion to resolve civil claims in what has become one of the largest consumer class-action settlements ever in the United States, involving half a million cars. Under the settlement, most car owners have the option of either selling their vehicles back to Volkswagen, or getting them fixed, provided the automaker could propose a fix that satisfied regulators. Volkswagen’s senior management was briefed in the summer of 2015 on the cheating software at the centre of the company’s diesel emissions scandal, and ordered its continued concealment, according to criminal charges unsealed by US prosecutors on Monday. VW employees briefed “executive management” in July 2015 at the German carmaker’s headquarters in Wolfsburg, Germany, about the use of software-based defeat devices to understate emissions in official tests, says a criminal complaint about the company’s former head of compliance in the US. “Rather than advocate for disclosure of the defeat device to US regulators, VW executive management authorised its continued concealment,” adds the complaint. The VW employees involved in the briefing included Oliver Schmidt, a VW veteran who was head of compliance in the US in 2012 and 2015. He was temporarily detained pending a detention hearing scheduled for Thursday in Miami, where he is due to be arraigned on Monday. The conduct outlined in the criminal complaint raises the likelihood that some more senior VW executives in Germany and the US could face charges, said one Department of Justice official. It comes at a time when VW is seeking to finalise a criminal settlement with the US authorities over the emissions scandal. Such a deal would be a milestone in VW’s efforts to draw a line under the affair, which has become the worst crisis in the company’s history. Schmidt is accused of conspiring for nearly a decade to conceal from US regulators the existence of defeat devices in VW diesel cars, according to the criminal complaint filed in federal court in Detroit. He is also accused of defrauding the US by impairing the Environmental Protection Agency’s emissions control program, cheating VW customers, and violating the Clean Air Act. For several weeks before VW admitted to US regulators in September 2015 that its diesel cars had cheated emissions tests, employees worried about the danger of criminal penalties for their actions, says the criminal complaint. VW’s “executive management” in Wolfsburg requested a briefing on the US situation, which took place on July 27 2015, says the criminal complaint. For that briefing, Schmidt and several colleagues prepared a slide on the potential outcomes of a meeting with California regulators scheduled for the following week. A “positive” meeting would result in the needed certification to sell VW cars in the US. But a “negative” outcome raised the question “Indictment?”, according to the criminal complaint. Schmidt’s arrest by the FBI marks the latest development in a scandal dating back more than a decade. In 2006, VW engineers realized that a new diesel engine they had designed would not be powerful enough to satisfy car owners and not green enough to pass muster with regulators. The new engine was the centerpiece of an ambitious strategy to boost VW sales in the US market. Rather than admit defeat, the company wrote software called a defeat device to cheat emissions tests. The device was programmed to recognize when a diesel car was undergoing the government’s standard laboratory tests and operate in accordance with EPA limits. But when driven on the road, the software allowed the cars to spew up to 40 times the allowable levels of nitrogen oxide. “VW employees knew that if they had told the truth and disclosed the existence of the defeat device, VW could not have sold any of its diesel vehicles in the United States,” says the criminal complaint. VW’s scheme began unravelling in early 2014 when a study ordered by the International Council on Clean Transportation, a non-profit organisation, detected the higher readings on the road emissions by VW diesel cars. VW formed an ad hoc engineering task force to handle regulators’ questions. “VW employees determined not to disclose to US regulators that the tested vehicle models operated with a defeat device,” says the criminal complaint. By the summer of 2015, Schmidt was directly involved in efforts to deal with regulators’ increasingly pointed questions. James Robert Liang, a VW engineer, in September became the first person to plead guilty to criminal charges, including conspiring to defraud US customers and regulators. He agreed to cooperate with US government investigators in return for leniency. Prosecutors also are getting help from two other VW insiders, who worked in the company’s engine development department, says the criminal complaint. They are cooperating in return for assurances that they will not be prosecuted in the US. From 2012 to 2015, Schmidt was general manager of VW’s environmental engineering office in Michigan, which was responsible for dealing with US regulatory agencies such as the EPA and the California Air Resources Board. In March 2015, he was promoted to the post of principal deputy to the head of engine development in Wolfsburg. Some of Volkswagen Group's top executives may find it risky to leave Germany as U.S. prosecutors prepare to charge more company officials. 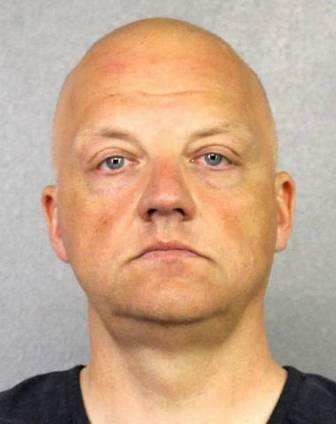 Oliver Schmidt (pictured), a VW executive, was arrested in Miami as he was returning to Germany from vacation and faces charges of misleading regulators about the automaker's diesel-emissions cheating devices. U.S. prosecutors are preparing to charge more high-level German-based executives in the case. Schmidt's arrest caught many VW executives by surprise, including some attending this week's Detroit auto show. Lawyers for some senior VW executives in Germany have already warned their clients not to leave the country. VW has said top management was unaware of the decision to install the software to cheat emissions tests. "The then and current board of management of Volkswagen AG had, at any rate, no knowledge of the use of unlawful engine-management software at the time," Volkswagen wrote in its annual report for 2015. VW has suspended or pushed out about a dozen executives in the aftermath of the scandal including former CEO Martin Winterkorn, who has denied any knowledge of the cheating. Dozens of Volkswagen officials in Germany have hired U.S. criminal defense lawyers over the past several months as the Justice Department ramped up its investigation. U.S. authorities have traveled to Germany to arrange interviews with managers and seek cooperation. Schmidt began working for the automaker in 1997 and served as general manager in charge of its Environmental and Engineering Office from 2012 to 2015. That office was primarily responsible for communicating and coordinating with U.S. regulatory agencies. In March 2015, Schmidt was promoted to a more senior management position within Volkswagen and returned to the company's headquarters in Germany. After learning in April 2014 that West Virginia University's Center for Alternative Fuels, Engines and Emissions had found that three VW diesel vehicles had emitted 40 times the permissible limit in the U.S., Schmidt wrote to a colleague: "It should first be decided whether we are honest. If we are not honest, everything stays as it is.". After these emissions-testing discrepancies became known to the U.S. government, he misled federal regulators about reasons for the differing test results. Schmidt offered "reasons for the discrepancy other than the fact that VW was intentionally cheating on U.S. emissions test in order to allow VW to continue to sell diesel vehicles in the United States." The government notes in the criminal case against Schmidt that the charge against him is based in part on information from two cooperating witnesses who worked in Volkswagen's engine development department and also from James Liang, a former VW software engineer who pleaded guilty to a conspiracy charge in September. The unidentified witnesses are helping the U.S. in exchange for immunity from prosecution. Volkswagen is prepared to plead guilty to US criminal charges and pay a $4.3bn fine tosettle the diesel emissions scandal — a remarkable sum for a decade-long swindle whose discovery began with this simple question: why are diesel cars in the US so much more eco-friendly than in Europe? In retrospect the question looks suspect: diesel had a tiny market share in the US, but in Europe it accounted for half the market. It would be implausible that the US technology would be superior. But in late 2012, John German, a senior fellow at the nonprofit International Council on Clean Transportation, thought he had an answer. Having spent 13 years working for the Washington-based Environmental Protection Agency, Mr German knew how strict its compliance and enforcement was. He figured that accounted for forcing car manufacturers to make diesel “clean”. “Our goal was to test the diesels in the US, prove that diesels could be clean, take the data back to Europe and say, ‘hey, they can do this in the US, why can’t you do this in Europe?” he told the FT on Tuesday after VW said it was in “advanced talks” to finalise a criminal settlement with the Department of Justice. Problems were apparent as soon as the ICCT began testing Volkswagen diesel cars in 2013. Mr German’s real-world tests were showing nitrous oxide emissions at up to 35 times the permitted levels. West Virginia University, which sponsored the study, kept recalibrating its equipment as if it were faulty. When that did not work, it suspected the particular cars must be malfunctioning — and yet, curiously, they passed emissions tests in the laboratory. The ICCT released the findings of the study in March 2014. It did not mention illegal software or name what car models were tested, but the ICCT sent copies to Volkswagen and the EPA. Mr German said he felt certain the EPA would soon uncover the defeat device. But the discovery took more than a year, as Volkswagen engineers and executives frustrated US regulators’ attempts to understand the nature of the irregularities, according to criminal complaint filings. For months VW “intentionally made . . . false and fraudulent statements” to make the discrepancies appear as if they were “innocent mechanical and technological problems”, one complaint says. Oliver Schmidt, then head of VW’s US compliance team, learnt of the ICCT study by April 2, 2014, and wrote to a colleague, “It should first be decided whether we are honest. If we are not honest, everything stays as it is,” according to a criminal complaint unsealed on Monday, two days after the Federal Bureau of Investigation arrested Mr Schmidt for alleged fraud. The California Air Resources Board and the EPA continued testing the vehicles with growing sophistication, tricking the cars’ computers into thinking they were in the real world and setting off a panic among the community of VW employees aware of the fraud. US regulators only learnt for certain that Volkswagen was cheating the tests on August 19, 2015, when a VW employee in engine development “disclosed, in direct contravention of instructions from his management”, that certain VW cars could detect when they were being tested and enter a low-emissions mode, the complaint unsealed on Monday says. VW officially acknowledged the illegal software to CARB and the EPA on September 3 that year, but still they withheld telling the public. The EPA issued a rare notice of violation on September 18, detailing the cheating. Within days, VW admitted it had installed the software in 11m cars worldwide beginning in 2008. Chief executive Martin Winterkorn resigned but admitted no wrongdoing on his part. VW soon admitted that its fraud dated back to 2006, when the German carmaker adopted an aggressive strategy to boost sales in the US. The goal had been to take on increasingly popular hybrid models by marketing “clean diesel” cars that supposedly reduced “sooty emissions by up to 90% compared to previous diesel engines”. Even now, nearly 16 months after VW’s admission of cheating, much remains unclear. Only one VW engineer, James Liang, has pleaded guilty. Mr Schmidt was only the third arrest, after an unnamed executive in South Korea was sentenced to 18 months in prison last week for fabricating documents. It remains unknown who authorised the cheating or how high up the totem pole knowledge of it went. The complaint against Mr Schmidt alleges that he and others briefed “executive management” in Wolfsburg on the software in July 2015, and assured them that US regulators were not aware of the defeat device. The executives “authorised its continued concealment”, the complaint states. Volkswagen and the Department of Justice are to reveal a “statement of facts” about the scandal at some point, though it is unclear if it will be a part of the settlement expected this week. When they do, lawyers in Europe are expected to seize on it in the hope of using it as leverage to seek damages in the region, where VW maintains that the software it used to bypass emission tests was not against the law. Ingo Speich, a senior portfolio manager at Union Investment in Germany, said even with the US criminal fine being finalised the outstanding litigation risk for VW remains huge. “It’s still too early to say the worst is over,” he said. Volkswagen AG (VW) has agreed to plead guilty to three criminal felony counts and pay a $2.8 billion criminal penalty as a result of the company’s long-running scheme to sell approximately 590,000 diesel vehicles in the U.S. by using a defeat device to cheat on emissions tests mandated by the Environmental Protection Agency (EPA) and the California Air Resources Board (CARB), and lying and obstructing justice to further the scheme, the Justice Department announced today. In separate civil resolutions of environmental, customs and financial claims, VW has agreed to pay $1.5 billion. This includes EPA’s claim for civil penalties against VW in connection with VW’s importation and sale of these cars, as well as U.S. Customs and Border Protection (CBP) claims for customs fraud. In addition, the EPA agreement requires injunctive relief to prevent future violations. The agreements also resolve alleged violations of the Financial Institutions Reform, Recovery and Enforcement Act (FIRREA). VW is charged with and has agreed to plead guilty to participating in a conspiracy to defraud the United States and VW’s U.S. customers and to violate the Clean Air Act by lying and misleading the EPA and U.S. customers about whether certain VW, Audi and Porsche branded diesel vehicles complied with U.S. emissions standards, using cheating software to circumvent the U.S. testing process and concealing material facts about its cheating from U.S. regulators. VW is also charged with obstruction of justice for destroying documents related to the scheme, and with a separate crime of importing these cars into the U.S. by means of false statements about the vehicles’ compliance with emissions limits. Under the terms of the plea agreement, which must be accepted by the court, VW will plead guilty to all these crimes, will be on probation for three years, will be under an independent corporate compliance monitor who will oversee the company for at least three years, and agrees to fully cooperate in the Justice Department’s ongoing investigation and prosecution of individuals responsible for these crimes. In addition, a federal grand jury in the Eastern District of Michigan returned an indictment today charging six VW executives and employees for their roles in the nearly 10-year conspiracy. Heinz-Jakob Neusser, 56; Jens Hadler, 50; Richard Dorenkamp, 68; Bernd Gottweis, 69; Oliver Schmidt, 48; and Jürgen Peter, 59, all of Germany, are charged with one count of conspiracy to defraud the United States, defraud VW’s U.S. customers and violate the Clean Air Act by making false representations to regulators and the public about the ability of VW’s supposedly “clean diesel” vehicles to comply with U.S. emissions requirements. The indictment also charges Dorenkamp, Neusser, Schmidt and Peter with Clean Air Act violations and charges Neusser, Gottweis, Schmidt and Peter with wire fraud counts. This case has been assigned to U.S. District Judge Sean F. Cox of the Eastern District of Michigan. Schmidt was arrested on Jan. 7, 2017, in Miami during a visit to the United States and appeared in federal court there on Monday. The other defendants are believed to presently reside in Germany. Today’s announcement was made by Attorney General Loretta E. Lynch, EPA Administrator Gina McCarthy and Assistant Administrator Cynthia Giles, Deputy Attorney General Sally Q. Yates, FBI Deputy Director Andrew McCabe, Acting Deputy Secretary Russell C. Deyo for the Department of Homeland Security, U.S. Attorney Barbara L. McQuade of the Eastern District of Michigan, Assistant Attorney General Leslie R. Caldwell of the Justice Department’s Criminal Division, Assistant Attorney General John C. Cruden of the Justice Department’s Environment and Natural Resources Division and Principal Deputy Assistant Attorney General Benjamin C. Mizer of the Justice Department’s Civil Division. Heinz-Jakob Neusser: from July 2013 until September 2015, Neusser worked for VW as head of Development for VW Brand and was also on the management board for VW Brand. From October 2011 until July 2013, Neusser served as the head of Engine Development for VW. Jens Hadler: from May 2007 until March 2011, Hadler worked for VW as head of Engine Development for VW. Richard Dorenkamp: from 2003 until December 2013, Dorenkamp worked for VW as the head of VW’s Engine Development After-Treatment Department in Wolfsburg, Germany. From 2006 until 2013, Dorenkamp led a team of engineers that developed the first diesel engine that was designed to meet the new, tougher emissions standards in the United States. Bernd Gottweis: from 2007 until October 2014, Gottweis worked for VW as a supervisor with responsibility for Quality Management and Product Safety. Oliver Schmidt: from 2012 through February 2015, Schmidt was the General Manager in charge of the Environment and Engineering Office, located in Auburn Hills, Michigan. From February 2015 through September 2015, Schmidt returned to VW headquarters to work directly for Neusser, including on emissions issues. Jürgen Peter: Peter worked in the VW Quality Management and Product Safety Group from 1990 until the present. From March 2015 until July 2015, Peter was one of the VW liaisons between the regulatory agencies and VW. According to the charging documents and statement of facts filed with the court, in 2006, VW engineers began to design a new diesel engine to meet stricter U.S. emissions standards that would take effect by model year 2007. This new engine would be the cornerstone of a new project to sell diesel vehicles in the United States that would be marketed to buyers as “clean diesel,” a project that was an important strategic goal for VW’s management. When the co-conspirators realized that they could not design a diesel engine that would both meet the stricter NOx emissions standards and attract sufficient customer demand in the U.S. market, they decided they would use a software function to cheat standard U.S. emissions tests. VW engineers working under Dorenkamp and Hadler designed and implemented a software to recognize whether a vehicle was undergoing standard U.S. emissions testing on a dynamometer or it was being driven on the road under normal driving conditions. The software accomplished this by recognizing the standard published drive cycles. Based on these inputs, if the vehicle’s software detected that it was being tested, the vehicle performed in one mode, which satisfied U.S. NOx emissions standards. If the software detected that the vehicle was not being tested, it operated in a different mode, in which the vehicle’s emissions control systems were reduced substantially, causing the vehicle to emit NOx up to 40 times higher than U.S. standards. Disagreements over the direction of the project were articulated at a meeting over which Hadler presided, and which Dorenkamp attended. Hadler authorized Dorenkamp to proceed with the project knowing that only the use of the defeat device software would enable VW diesel vehicles to pass U.S. emissions tests. Starting with the first model year 2009 of VW’s new “clean diesel” engine through model year 2016, Dorenkamp, Neusser, Hadler and their co-conspirators installed, or caused to be installed, the defeat device software into the vehicles imported and sold in the United States. In order to sell their “clean diesel” vehicles in the United States, the co-conspirators lied to the EPA about the existence of their test-cheating software, hiding it from the EPA, CARB, VW customers and the U.S. public. Dorenkamp, Neusser, Hadler, Gottweis, Schmidt, Peter and their co-conspirators then marketed, and caused to be marketed, VW diesel vehicles to the U.S. public as “clean diesel” and environmentally-friendly. Around 2012, hardware failures developed in certain of the diesel vehicles. VW engineers believed the increased stress on the exhaust system from being driven in the “dyno mode” could be the cause of the hardware failures. In July 2012, VW engineers met with Neusser and Gottweis to explain what they believed to be the cause of the hardware failures and explained the defeat device. Gottweis and Neusser each encouraged further concealment of the software. In 2014, the co-conspirators perfected their cheating software by starting the vehicle in “street mode,” and, when the defeat device realized the vehicle was being tested, switching to the “dyno mode.” To increase the ability of the vehicle’s software to recognize that it was being tested on the dynamometer, the VW engineers activated a “steering wheel angle recognition feature.” With these alterations, it was believed the stress on the exhaust system would be reduced because the engine would not be operating for as long in “dyno mode.” The new function was installed in existing vehicles through software updates. The defendants and other co-conspirators falsely represented, and caused to be represented, to U.S. regulators, U.S. customers and others that the software update was intended to improve durability and emissions issues in the vehicles when, in fact, they knew it was used to more quickly deactivate emission control systems when the vehicle was not undergoing emissions tests. After years of VW selling their “clean diesel” vehicles in the United States that had the cheating software, in March 2014, West Virginia University’s Center for Alternative Fuels, Engines and Emissions published the results of a study commissioned by the International Council on Clean Transportation (ICCT). The ICCT study identified substantial discrepancies in the NOx emissions from certain VW vehicles when tested on the road compared to when these vehicles were undergoing EPA and CARB standard drive cycle tests on a dynamometer. Rather than tell the truth, VW employees, including Neusser, Gottweis, Schmidt and Peter, pursued a strategy to disclose as little as possible – to continue to hide the existence of the software from U.S. regulators, U.S. customers and the U.S. public. Following the ICCT study, CARB, in coordination with the EPA, attempted to work with VW to determine the cause for the higher NOx emissions in VW diesel vehicles when being driven on the road as opposed to on the dynamometer undergoing standard emissions test cycles. To do this, CARB, in coordination with the EPA, repeatedly asked VW questions that became increasingly more specific and detailed, and tested the vehicles themselves. In implementing their strategy of disclosing as little as possible, Neusser, Gottweis, Schmidt, Peter and their co-conspirators provided EPA and CARB with testing results, data, presentations and statements in an attempt to make it appear that there were innocent mechanical and technological problems to blame, while secretly knowing that the primary reason for the discrepancy was their cheating software that was installed in every VW diesel vehicle sold in the United States. The co-conspirators continued this back-and-forth with the EPA and CARB for over 18 months, obstructing the regulators’ attempts to uncover the truth. The charges in the indictment are merely accusations and each defendant is presumed innocent unless and until proven guilty. The case was investigated by the FBI and EPA-CID. The prosecution and corporate investigation are being handled by Securities and Financial Fraud Unit Chief Benjamin D. Singer and Trial Attorneys David Fuhr, Alison Anderson, Christopher Fenton and Gary Winters of the Criminal Division’s Fraud Section; Trial Attorney Jennifer Blackwell of the Environment and Natural Resources Division’s Environmental Crimes Section; and from the U.S. Attorney’s Office for the Eastern District of Michigan, Criminal Division Chief Mark Chutkow and White Collar Crime Unit Chief John K. Neal and Assistant U.S. Attorney Timothy J. Wyse. The Justice Department’s Office of International Affairs also assisted in the case. The Justice Department also extends its thanks to the Office of the Public Prosecutor in Braunschweig, Germany. The first civil settlement resolves EPA’s remaining claims against six VW-related entities (including Volkswagen AG, Audi AG and Porsche AG) currently pending in the multidistrict litigation before U.S. District Judge Charles R. Breyer of the Northern District of California. EPA’s complaint alleges that VW violated the Clean Air Act by selling approximately 590,000 cars that the United States alleges are equipped with defeat devices and, during normal operation and use, emit pollution significantly in excess of EPA-compliant levels. VW has agreed to pay $1.45 billion to resolve EPA’s civil penalty claims, as well as the civil penalty claim of CBP described below. The consent decree resolving the Clean Air Act claims also resolves EPA’s remaining claim in the complaint for injunctive relief to prevent future violations by requiring VW to undertake a number of corporate governance reforms and perform in-use testing of its vehicles using a portable emissions measurement system of the same type used to catch VW’s cheating in the first place. Today’s settlement is in addition the historic $14.7 billion settlement that addressed the 2.0 liter cars on the road and associated environmental harm announced in June 2016, and $1 billion settlement that addressed the 3.0 liter cars on the road and associated environmental harm announced in December 2016, which together included nearly $3 billion for environmental mitigation projects. A second civil settlement resolves civil fraud claims asserted by U.S. Customs and Border Protection (CBP) against VW entities. VW entities violated criminal and civil customs laws by knowingly submitting to CBP material false statements and omitting material information, over multiple years, with the intent of deceiving or misleading CBP concerning the admissibility of vehicles into the United States. CBP enforces U.S. customs laws as well as numerous laws on behalf of other governmental agencies related to health, safety, and border security. At the time of importation, VW falsely represented to CBP that each of the nearly 590,000 imported vehicles complied with all applicable environmental laws, knowing those representations to be untrue. CBP’s relationship with the importing community is one based on trust, and this resolution demonstrates that CBP will not tolerate abrogation of importer responsibilities and schemes to defraud the revenue of the United States. The $1.45 billion paid under the EPA settlement also resolves CBP’s claims. In a third settlement, VW has agreed to pay $50 million in civil penalties for alleged violations of FIRREA. The Justice Department alleged that a VW entity supported the sales and leasing of certain VW vehicles, including the defeat-device vehicles, by offering competitive financing terms by purchasing from dealers certain automobile retail installment contracts (i.e. loans) and leases entered into by customers that purchased or leased certain VW vehicles, as well as dealer floorplan loans. These financing arrangements were primarily collateralized by the vehicles underlying the loan and lease transactions. The department alleged that certain of these loans, leases and floorplan financings were pooled together to create asset-backed securities and that federally insured financial institutions purchased certain notes in these securities. Today’s FIRREA resolution is part of the department’s ongoing efforts to deter wrongdoers from using the financial markets to facilitate their fraud and to ensure the stability of the nation’s financial system. Except where based on admissions by VW, the claims resolved by the civil agreements are allegations only. The civil settlements were handled by the Environmental and Natural Resources Division’s Environmental Enforcement Section, with assistance from the EPA; the Civil Division’s Commercial Litigation Branch; and CBP. Note that, for political reasons (American-German relations), the two people at the core of Volkswagen's criminal act are not mentioned or charged by the DoJ, that being Ferdinand Piech and Martin Winterkorn. Five German Volkswagen AG executives facing U.S. charges linked to the diesel-emissions scandal may be able to avoid jail, but they may never be able to travel beyond the Black Forest again. While Germany doesn’t extradite its citizens to countries outside the European Union, the U.S. can seek an international arrest warrant that would be executed if any of the men left the country. That’s the dilemma now facing Heinz-Jakob Neusser, Richard Dorenkamp, Bernd Gottweis and two others, who were charged Wednesday in a court in Michigan. At the same time Volkswagen agreed on Wednesday to plead guilty to an emissions-cheating scandal and to pay $4.3 billion, U.S. prosecutors announced charges against the five individuals in Germany, bringing the total number of company officials indicted to seven. In the months leading up to this week’s corporate settlement and indictment against individuals, German lawyers had begun to warn VW executives not to leave Germany as fears of impending U.S. charges grew. The one executive who ignored the advice is now in a U.S. jail. Oliver Schmidt, the company’s liaison with U.S. regulators, was arrested at the Miami airport Saturday as he prepared to fly home from a poorly timed vacation. U.S. investigators had filed a criminal complaint against him on Dec. 30 at a U.S. District Court in Michigan. Called a flight risk by prosecutors, a U.S. judge has ordered Schmidt be held without bail pending trial. Neusser, VW’s engine development chief, Dorenkamp, who led the failed effort to design a diesel engine that would meet the tougher emissions standards the U.S. adopted for 2007, and Gottweis, who was responsible for quality management, were all charged with participating in a scheme to mislead regulators about how the company cheated on emissions tests. Jens Hadler, who led engine development from 2007 to 2011, and Juergen Peter, who worked on Gottweis’s group, were also indicted. U.S. prosecutors know from experience that the five other men will be able to evade capture as long as they stay in Germany. In a previous German scandal, U.S. officials in 2011 charged eight Siemens AG officials and agents in relation to a bribery scheme. None of the accused in the Siemens case appeared in court for four years, when one former executive traveled to New York to plead guilty. As part of a plea agreement, he agreed to provide information and testify against the others. On his first day in office, Trump should move to prohibit all Volkswagen car sales in the United States, until such time Germany turns over these five criminals. Done deal. Volkswagen Group might have stayed clear of the diesel cheating that led to the worst business crisis in its history had the company not pulled out of a promising deal with Daimler more than a decade ago. Led by former CEO Bernd Pischetsrieder, Volkswagen examined strategic options for tie-ups and cooperation projects in 2005, a time when the company was undergoing painful restructuring. The deliberations included senior-level talks on a possible deal with Volkswagen that would have given it access to Daimler's diesel technology and could have even included cross-shareholdings of about 10 percent. But Volkswagen abruptly called off talks that year, instead forging ahead with its own diesel systems which ultimately proved incapable of meeting strict U.S. emissions standards. Faced with an aggressive management push to finally achieve a turnaround in the U.S., the maker of Golf and Jetta cars resorted to secretly rigging its engines until regulators blew open the scheme in late 2015, hammering the once-proud German manufacturer with a potential legal liabilities of about $23 billion in the U.S. and Canada and leaving its reputation in tatters. Talks to advance the top-secret project, dubbed "TableMountain," were canceled by Volkswagen before a key meeting near Brunswick, Germany, in summer 2005. That's several months before the first indications that Volkswagen engineers were working on the defeat device that eventually rigged 11 million vehicles worldwide to cheat on emissions tests. The scheme unraveled in the summer of 2015 when U.S. authorities pressed Volkswagen to explain why on-the-road emissions of smog-inducing nitrogen oxides were as much as 40 times over the legal limit in cars that met standards in test labs. In addition to fines and costs for fixing or buying back the tainted vehicles, at least seven company officials face charges, including former board member of the namesake brand Heinz-Jakob Neusser. Volkswagen also pleaded guilty to conspiracy to defraud the U.S. government and obstruction of justice. A deal with Daimler, which owned Chrysler when the talks were under way, could have thwarted the disaster by offering access to the Mercedes-Benz parent's BlueTec diesel technology, which uses a urea solution to clean up harmful emissions. But Volkswagen balked at using BlueTec, because it would have added about 1,000 euros per car ($1,064) to install and the manufacturer struggled to lower production expenses sufficiently to compensate. Pischetsrieder and former VW brand chief Wolfgang Bernhard, who had joined from Daimler and championed the use of the Stuttgart company's technology, have offered to make an affidavit that they were not involved or knew about the development of illegal engine software. Instead of adopting Daimler technology, VW insisted on using its own TDI diesel engines, which directly injected fuel into the cylinders and didn't use a urea solution to clean the exhaust. The technology enjoyed strong internal support from then-chairman Ferdinand Piech, a former VW CEO who had pushed the technology in the 1980s during his time in charge of Audi. Piech devoted an entire chapter to it in his autobiography, published in 2002. In a bid to expand in the U.S., Volkswagen ultimately relied on a trick to sell those vehicles as a high-performance, fuel-efficient alternative to gasoline models. By detecting test conditions, the rigged diesel cars artificially lowered emissions during regulatory evaluations, while breaching legal limits on the road. Calling off the talks with Daimler sparked controversy within Volkswagen's top management at the time. One area of concern was that U.S. emissions limits could prove difficult, if not impossible, to reach without Daimler's BlueTec. First prototypes of VW's EA189 engine, the motor at the heart of the diesel scandal, were shown internally to executives during 2006. Evidence reviewed by internal auditors and external lawyers points to early 2006 as the time when developers at Volkswagen started working on the illegal software to cheat on emissions tests. While the timing suggests a link, it's unclear whether there is indeed a direct connection between senior executives backing out of the talks with Daimler and the development of Volkswagen's defeat device. The U.S. Justice Department's Statement of Facts dates the first concrete evidence for the cheating back to May 2006 as part of a project internally dubbed "U.S.'07," referring to the EPA's plan to tighten emissions limits that required manufacturers to fully comply as of model year 2007. Volkswagen was evidently aware in 2005 that U.S. emissions regulations posed a problem. The company entered a Consent Decree with American authorities in June of that year to resolve allegations that it violated the Clean Air Act by failing to file an emissions defect report with the EPA in a timely manner. Under the agreement, VW was forced to conduct a $26 million recall, implement enhanced defect tracking and reporting systems on possible defects. It was also required to submit a status report to the EPA once a year. Even though the alliance talks were terminated in 2005, VW later entered an agreement to use Daimler's BlueTec technology for the Jetta sedan and the Touareg SUV. The two companies planned to jointly promote diesel in the U.S., but the Wolfsburg-based automaker abruptly ended the cooperation after less than a year in August 2007. One significant result in the wake of these talks was a production agreement involving the Mercedes Sprinter and the VW Crafter delivery vans. Daimler let the contract expire at the end of 2016 to use the capacity for its own expansion. Volkswagen and Chrysler, which is now part of Fiat Chrysler Automobiles NV, cooperated on the VW Routan minivan for the U.S. between 2008 and 2013. Any prospects to revive a deal have long since ended. In 2006, Pischetsrieder was ousted as CEO by former Chairman Piech. He then installed confidante Martin Winterkorn, who stepped down in the wake of scandal. Bernhard left in January 2007 and has since rejoined Daimler. Volkswagen officially presented the EA189 diesel engine in 2007 and started using it in cars in the following year. Under the agreement with U.S. authorities, Volkswagen agreed to improve compliance systems, enhance whistle-blower programs and appoint an independent monitor for three years. Volkswagen managers are living dangerously, as 13 of their own have been indicted by governments around the world. In the U.S., six current and former Volkswagen managers have been charged, outgoing Attorney General Loretta E. Lynch said yesterday in a press conference in Washington, D.C. On the same day, South Korea enlarged a list of Volkswagen managers charged with criminal wrongdoings to seven, per South Korea’s Yonhap newswire. At a DOJ news conference that had its thunder stolen by the more salacious appeal of President-elect Trump’s NYC presser, Lynch formally announced a $4.3 billion settlement with Volkswagen, an indulgence trade that bought Volkswagen’s way out of criminal persecution by the U.S. government. The trouble for Volkswagen’s people however has just begun. “We can't put companies in jail, but we can hold their employees personally accountable,” said FBI deputy director Andrew McCabe, as criminal indictments were announced against six current and former Volkswagen executives. Heinz-Jakob Neusser: from July 2013 until September 2015, Neusser worked for VW as head of Development for VW Brand and was also on the management board for VW Brand. Richard Dorenkamp: from 2003 until December 2013, Dorenkamp worked for VW as the head of VW’s Engine Development After-Treatment Department in Wolfsburg, Germany. Oliver Schmidt: from 2012 through February 2015, Schmidt was the General Manager in charge of the Environment and Engineering Office, located in Auburn Hills, Michigan. According to AG Lynch, “these individuals all held positions of significant responsibility,” but Volkswagen insiders differ. When I woke up a high-ranking Volkswagen exec in Wolfsburg with the news that a number of his colleagues are wanted in America, the drowsy contact said: “Who? Winterkorn? Diess? Stadler? Hackenberg? Hatz?” He could name the usual suspects at Volkswagen in his half-sleep. By name he only knew two on the DOJ’s list, Neusser and Dorenkamp, both suspended in late 2015, the rest drew a blank. Duly rattled from sleep, my contact assumed that the others on the wanted list “must be department-level types, I will have to look them up.” The DOJ is going after the soldiers, not the generals (or VW’s Fuhrer....Ferdinand Piech). With Bernd Gottweis, the Feds definitely are after the wrong guy. Throughout his career at VW, the long-retired manager was the inconvenient voice of conscience at Volkswagen, warning everybody that if U.S. law is not observed, it can result in time behind American bars. Gottweis was head of the “Ausschuss für Produkt-Sicherheit (APS)” (product safety taskforce). Unofficially, the team quickly was called “Feuerwehr-Kreis” (firefighter circle), also because it used to meet in the company's fire department. Of course, “product safety” was a euphemism. The taskforce deployed around the world in an early warning system to protect the company from harm caused by dodgy products and manager stupidity. According to Germany’s usually well-informed BILD tabloid, it was Gottweis who alerted Volkswagen’s then-CEO Martin Winterkorn on May 23, 2014, warning the boss that “it can be assumed that the regulator will investigate the VW-systems for the presence of a cycle-beating function in the engine controller software (so-called defeat device).” As part of the DOJ deal, Volkswagen will have to endure an “independent corporate compliance monitor” watching over Volkswagen’s future good behavior. The unintimidable Gottweis would be well-suited for that chaperone job, instead of a post-office poster. By going after Gottweis, the Feds ultimately signal that speaking out gets you in trouble. One of the mid-level six, Oliver Schmidt, was nabbed by the Feds when he foolishly vacationed in Florida over the Christmas holidays. The skinheaded manager faced his magistrate judge in prison garb and handcuffs. All others are at large, assumedly in Germany, out of reach even for the long arm of American justice. When Dave Shephardson of Reuters inquired at the Washington presser about the prospects of the Germans fugitives facing justice in America, AG Lynch obliquely answered that “we usually work very well with our German colleagues on various law enforcement matters,” but that it would be too early to tell. That close cooperation won’t help. By their American-authored constitution, German citizens are protected from extradition. In narrowly defined cases, German nationals may be extradited to another EU country, but not to the U.S., or elsewhere. Germans can be tried in Germany for crimes committed outside of the country, but with dieselgate-type cheating being treated as a gentlemen’s offense in Germany and the rest of the EU, Messrs. Peter, Neusser, Dorenkamp, Gottweis, and Hadler should be safe at home. Their freedom of international travel however should be considered as considerably curtailed. Other Volkswagen managers also will be careful about racking-up frequent flyer miles. “This investigation is on-going, and we will continue to look into individuals,” Lynch said without elaborating further. Making a check on outstanding warrants a part of travel preparations will be of little help. Oliver Schmidt wasn’t wanted when he departed to the U.S. The criminal complaint was filed on December 30, 2016, when Schmidt was already enjoying the Florida sun. America is a favorite destination for Volkswagen managers. That appeal is set to diminish. Elsewhere, “commonwealth-countries should be considered high-risk,” told me a Volkswagen manager serving in the company’s far-flung international operations. Commonwealth countries have, between them and treaty partners such as the U.S., extradition agreements requiring the handover of suspects sought for the flimsiest of offenses. “Even travel to other EU countries could not be without problems,” the manager added. Under the agreement with the DOJ, Volkswagen “agrees to fully cooperate in the Justice Department’s ongoing investigation and prosecution of individuals responsible for these crimes,” as the DOJ says. Volkswagen is on a three-year probation, and if it won’t snitch on its own people, it will face the redoubled wrath of the U.S government. The imminent danger of being sold out to the Feds by their own company will lower the already rock-bottom morale among Volkswagen staffers even more, “as impossible as it may sound,” the manager resignedly said. “Faceless multi-national corporations don’t commit crimes, flesh and blood people commit crimes” said Deputy AG Sally Quilian Yates at the press conference. She is the author of the famous Yates Memo that says that the DOJ will henceforth go after individuals involved in corporate malfeasance which results in criminal actions. “The fact that we are announcing charges today against six high-ranking executives at Volkswagen,” said Yates, “demonstrates that this is not just a paper policy” Not exactly. The really high ranking execs enjoy their diamond-studded parachutes in freedom. Also yesterday, South Korea enlarged a list of Volkswagen managers facing trial on criminal charges to seven. Seoul prosecutors indicted Volkswagen Group’s country chief Johannes Thammer, his predecessor Trevor Hill, and Hill’s predecessor Park Dong-hoon on charges of violating the country’s clean air conservation act to win sales approval from the local authorities, South Korea’s Yonhap wire reported. Four former and current staff members also were charged. One of the staffers, a man identified by his surname Yoon, last week received an 18-month jail term. Even before the indictment, Thammer’s continued presence in South Korea was secured in an unorthodox way: If Thammer wanted to travel outside the country, his wife had to stay behind, effectively held hostage to secure Thammer’s return to Seoul, wrote Germany’s Manager Magazin. When the wife wanted to travel. the husband had to stay at home, I was told. Thammer’s predecessor Trevor Hill is in Germany, managing Audi’s internationalization project. Hill started at Volkswagen as a young sales manager in South Africa. Non-German citizens technically could be extradited, should a foreign country press the issue. Park Dong-hoon, who headed Volkswagen South Korea from 2005 to late 2012, is another delicate case. He is now CEO of Renault’s South Korean operation Renault Samsung Motors Co. Alliance partner Nissan was targeted by the SK government earlier last year after importing a few hundred of its Qashqai SUVs that were legal in the EU, and by virtue of the trade agreement legal in South Korea -- but suddenly they weren’t. Two weeks ago, South Korea's Environment Ministry banned the importation of Nissan’ Infinity Q50 and Qashqai models. Nissan is by far the largest Japanese car importer to South Korea, bringing in more cars than Toyota and Honda combined. While Volkswagen managers are wanted to be brought to justice on both sides of the globe, what is happening at home, where the enormity of the committed crime – half of Europe’s cars are diesel -powered - dwarfs dieselgate shenanigans elsewhere? Not much. The prosecution in Braunschweig near Wolfsburg is investigating 21 suspects for fraud, but it is taking its own time. The prosecutors might not come to a decision in 2017, spokesman Klaus Ziehe told Reuters. “The Americans are a year ahead of us,” Ziehe said. Reuters received hints that no board members are among the suspects. The admission of guilt as part of the arrangement with the DOJ may have some bearing on lawsuits brought by investors and customers in Germany, but that is another matter left for another day. You'd think Volkswagen would be going all out to salvage its reputation after the diesel emissions cheating scandal. Instead, the automaker is further alienating and exhausting many customers while trying to make amends. In addition to a $4.3 billion criminal fine, Volkswagen agreed to pay $10 billion to nearly a half-million people who bought or leased vehicles marketed as "clean-diesel" that instead were excessive polluters rigged to pass emissions tests. Vehicles are being bought back, leases are being canceled and other payments are being made to settle lawsuits filed by federal authorities. Owners who want to keep their vehicles can have them modified so they don't pollute excessively. Many VW owners say they have had trouble getting claims processed on time, getting paid after turning in cars and getting other problems resolved. I wrote in December about the program getting off to a rocky start. It doesn't seem to have improved, based on the nearly 30 complaints I've heard since then from across the country. Thousands of people have complained elsewhere. Lisa Hunt told me she turned in her 2010 Jetta on Dec. 15. She lives in rural Wyoming and had to drive to a dealership in Fort Collins, Colo., about an hour away. She and her husband, Mark Gaskill, told me that when they arrived, they learned the transaction couldn't be completed because they had exceeded the mileage allotment since the time they accepted the buyback offer. They weren't off by much, about 100 miles. That's understandable, as going to the grocery store where they live is a 20-mile excursion. But it lessened their payout by about $150. They said they agreed to turn in the vehicle and have a check sent to them. They didn't get paid until Friday, which was nearly a month later. "Apparently, writing a check is very, very difficult for VW," Hunt said. They've talked to people at the VW claims hotline and a lawyer and paralegal who were involved in the settlement. They even tried reaching the judge on the case in California. "We can never get any straight answers," Gaskill said. They said they've been told repeatedly by representatives at the VW claims hotline that their case has been "escalated," a term they consider to be a put-off to make them believe something's being done. "This is a relatively simple solution," Gaskill said. "They have all the documentation. They have possession of the car. They just need to do a journal entry and have an accountant write a check and FedEx it to us." Hunt told me they finally got a call last week explaining they would be paid electronically. They got that call after I relayed their problem to a representative for the legal team representing vehicle owners in the case, though I can't say for certain if that's what motivated VW. As I noted in my previous column, VW's media relations people haven't been responsive to me and have ignored my attempts to reach them. VW's silence can't hide the fact there are problems. They are well-documented by Ankura Consulting Group, which was appointed by the court to supervise the compensation claims process. In a Dec. 27 report to the court, Ankura noted Volkswagen had received more than 155,000 complaints. The legal team representing owners had heard from 10,000 people. Others have contacted Ankura, the court and the Federal Trade Commission, one of the agencies that had sued Volkswagen alleging its "clean diesel" marketing claims were deceptive. "Despite progress for many consumers, frustration for others resulting from delays was compounded by customer service challenges," Ankura said. "Many of these challenges emanated from Volkswagen's claims hotline at a time when responsiveness and clarity could have diffused angst in a growing population of impatient consumers." The report said Volkswagen was "deploying more highly trained and dedicated resources to ensure consumers' questions and concerns are promptly and effectively addressed." After an owner's claim is determined to be eligible, VW is supposed to make a buyback offer within 10 business days. Through Dec. 18, that deadline had been met only 53 percent of the time, according to Ankura's report. More than 5,000 claims were more than 30 days overdue. James Kent of Massachusetts can attest to that. He told me his eligibility was confirmed on Oct. 30 but an offer wasn't made until Dec. 30. It came after he also sought help from the legal team representing vehicle owners. Kent said he had been unable to get answers from VW's hotline about the delay, which was costly. He already had lined up a replacement vehicle for the Jetta he would be turning in. But because he didn't have the VW payment to use as a down payment, he had to finance the entire purchase, which resulted in him paying a higher interest rate. "If they had just been able to stick to the timeline or give people a reasonable expectation of how this would all play out, I think it would have helped everybody plan their lives better," Kent told me. "It would have saved a lot of aggravation for an awful lot of people. It's been an extremely frustrating process." The longer customers drive their vehicles, the less they may be paid for them. Customers have complained to me about having to continue making car payments and pay for maintenance. Hunt told me she and her husband lost a $200 deposit on a replacement vehicle when they couldn't close the deal because VW hadn't paid them. Kent also will incur travel costs to turn in his car. He said the earliest appointment he could get at his local dealer was March 2. So he got one with another dealer about an hour away in mid-February. He will return home by bus. One of the biggest frustrations I have heard from people is that they don't know where to seek help with claims problems. You can file a complaint with the FTC at 202-326-2222 or www.ftc.gov. You also can contact one of the class-action attorneys representing vehicle owners. Their information is on the VW settlement website, www.vwcourtsettlement.com. Go to "documents," then "notices" and "long form notice." The list is on page 23. You can also try to deal directly with VW through the claims hotline at 844-98-CLAIM. IMHO, as owner of two TDIs, VW customer service has gone to hell since the settlement was finalized. Driving the '13 TDI down to Florida, I noted vibration at extra legal speeds and sometimes even legal speeds and rapid wear on the inside of the left front tire. Put the new spare on and took it to a VW dealer for alignment... They claim toe on that left front wheel position was just barely out of limits and corrected it. The left rear camber was just barely a bit too negative, they claimed the adjusters were rusted and immovable because the car is licensed in Minnesota and gave me a $1000 plus estimate to replace the upper control arm, adjuster eccentric, and subframe. But the "before" and "after" alignment print outs showed they did manage to move that adjuster... The wrong way! They didn't charge me for their ineptness, but I'm left with almost 4 degrees of negative caster in the left rear and still have no explanation for the rapid left front wear. Given that the car is still within the 3 year bumper to bumper warranty and barely over on mileage, I asked VW if they'd cover part of the costs. I received a firm no. Yes, VW knows I've bought 4 of their cars and am a "customer for life" as well as "evangelist" and they totally blew me off. I'm hearing similar stories from longtime VW TDI customers, who can't even get a VW dealer to sell them a new car at the same time they're turning in their old TDI and make a seamless car to car transition. VW in America seems to be a lost zombie, making no attempt to increase sales beyond near historic lows and recover from the TDI debacle. If this is the best VW can do, they may as well pull out of the Navistar deal so at least they don't drag Navistar down with them.